Everybody today is in a rush to own a home. Developers – both reputed as well as the ones who are still scrambling around to establish themselves have taken the cue and are launching projects one after another. Over the last two years, you may have sensed a kind of sluggishness within the property market. Can this be the status quo? Not at all. While some prospective home buyers are still on the fence for reasons such as high home loan rates or high property values, the market is expected to pick up momentum within the next six months. Metro cities have been top investment hotspots. Where would your ideal home be? Find out. According to the Global Luxury Residential Real Estate Report by Sotheby and Wealth-X, tinsel town Mumbai is the only Indian city to feature among the top 20 most expensive cities of the world. Whether you are thinking Malabar Hill or Worli, luxury comes to the foreground. While a budget of ₹1 crore would be a sufficient spend on property elsewhere in the country, in Mumbai this amount would be ‘affordable’ and can grab you a measly 1BHK in Bandra. For a luxury project in Worli, the average spend would be ₹7-10 crore. With the difference in the brand of the developer and size of the property, this number would vary rising up to as much ₹50 crores if not more. Standard conveniences are passé. The modern connoisseur of lifestyle is looking for something extra. Not just how the garden is landscaped or how grand the sea view is from one’s home but whether one’s pet also avails the benefit of customised services also matters today. Sky lounges, in-house bars, automated or smart features, concierge services, private elevators and pools, sports arenas and work-out areas are just a few other offerings. Such homes are tastefully conceptualised by renowned architects. While flats are available at a premium price, plots are rare because of the scarce land bank in such areas. Rents could be as high as ₹300-350 per sq ft. The IT city is full of young investors scouting for a property. Unlike Mumbai, Bengaluru is for the pocket-friendly with average prices ranging between ₹3,500-5,500 per sq ft. Outer Ring Road (ORR) has seen a significant growth in residential real estate because of the numerous IT/ITeS companies in the vicinity. Even among the business classes or those wanting to establish start-ups, ORR surfaces as a convenient/preferred choice. While the area is still developing, it presents an excellent opportunity for budget buyers. You could opt for flats in the range of ₹30-50 lakh. Buyers with deep pockets prefer the flexibility that comes along with buying a plot. Some others prefer individual houses for the aura it lends. However, flats are fast moving in the market, feel experts. Moreover, for the ‘low-maintenance’ tag that flats boast, it is a fad among young working professionals. Varthur, Panathur, Marathahalli, Bellandur, parts of Sarjapura or established markets of Hebbal make for best-buy today where homes are in the size range of ₹800-1700 per sq ft. This corridor is much frequented. Therefore, the most visible concern point is traffic. Ongoing construction in many parts of the city can also pose a problem to swift movement of traffic. Also, water is a crisis point in most parts. Select pockets where water is not a concern is where luxury projects have rooted themselves. 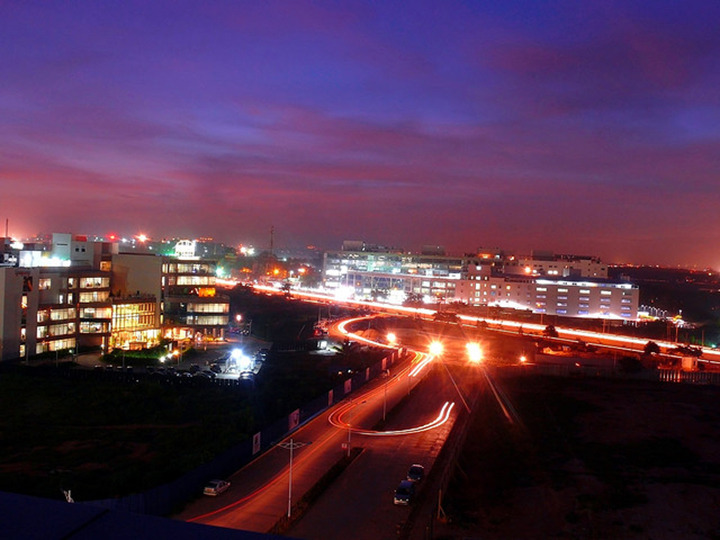 Besides HITEC City, Gachibowli is eyed by most IT/ITeS and finance professionals who come into the city. An interesting fact about Hyderabad realty market is that when it comes to per sq ft. value, the pricing seems realistic compared to other metropolitan cities and thus, Hyderabad is believed to be the most affordable metropolitan city. Even the peripheral regions such as Uppal have been slowly gaining popularity. However, the young, securely employed buyers prefer neighbourhoods such as Gachibowli because of the well-developed/established institutional and commercial centres in this region. In turn, to cater to the white collared, real estate industry ensured quality constructions. Therefore, while the peripheries are still aiming at institutional investments, the centres have scored already. Moreover, the area is preferred by the student community for its prestigious educational institutions as well as by frequent flyers who opt for Gachibowli for its smooth connectivity to the airport. If you are planning on an investment in Hyderabad, keep aside anywhere between ₹70 lakh to ₹1.5 crore depending upon the exact configuration you want to go in for. Bigger units will command a premium. There have been many Mumbai-bred, Pune-employed young professionals who pick the latter because of the rational pricing when compared to Mumbai. With prices in the average range of ₹5,000-6,200 per sq ft., Hinjewadi unveils a number of plots and multi-storey apartments. 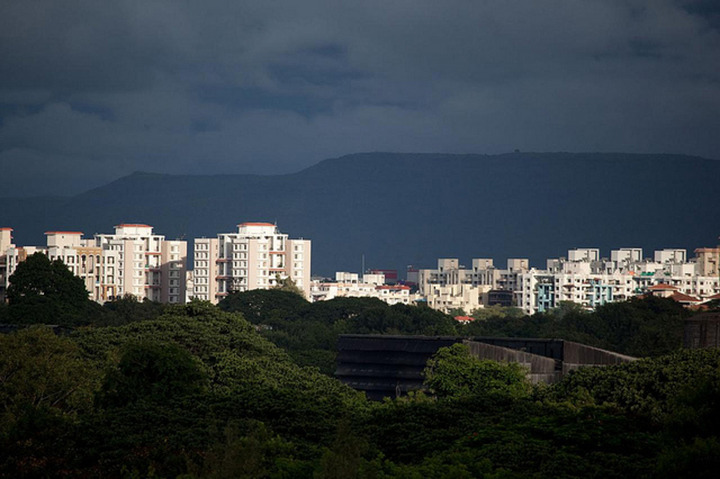 The IT Park of Hinjewadi makes the area one of the focal points of Pune’s investor market. For those who opted for areas a little off their workspaces went in for Baner and Pimple Nilakh. This means while IT did shape Hinjewadi, the latter moulded the way forward for local realty, heavily in demand among the regular pool of tenants who are willing to pay a good price. Almost a lakh work in and around Hinjewadi. Naturally, traffic, narrow roads combined with monsoons can pose to be a concern. Planned physical infrastructure could ease the pain. As of now, due to lack of smooth connectivity with other parts of Pune, personal conveyance is the way out for most employees. This is also one of the top reasons why most people settle for a house nearby. Rentals are in the range of ₹7,500-50,000 per month depending on the exact location. When you think property today, you are thinking of it as not just bricks and mortar. You are necessarily thinking of adding a revenue angle to your existing reserve. Invest while you can. The contents of this document are meant merely for information purposes. The information contained herein is subject to updation, completion, revision, verification and amendment and the same may change materially. The information provided herein is not intended for distribution to, or use by, any person in any jurisdiction where such distribution or use would (by reason of that person‘s nationality, residence or otherwise) be contrary to law or regulation or would subject lClCl Bank or its affiliates to any licensing or registration requirements. This document is not an offer, invitation or solicitation of any kind to buy or sell any security and is not intended to create any rights or obligations. Nothing in this document is intended to constitute legal, tax, securities or investment advice, or opinion regarding the appropriateness of any investment, or a solicitation for any product or service. Please obtain professional legal, tax and other investment advice before making any investment. Any investment decisions that may be made by you shall be at your sole discretion, independent analysis and at your own evaluation of the risks involved. The use of any information set out in this document is entirely at the recipient's own risk. The information set out in this document has been prepared by ICICI Bank based upon projections which have been determined in good faith by lClCl Bank and from sources deemed reliable. There can be no assurance that such projections will prove to be accurate. lClCl Bank does not accept any responsibility for any errors whether caused by negligence or otherwise or for any loss or damage incurred by anyone in reliance on anything set out in this document. 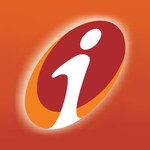 The information set out in this document has been prepared by ICICI Bank based upon projections which have been determined in good faith and sources considered reliable by lClCl Bank. In preparing this document we have relied upon and assumed, without independent verification, the accuracy and completeness of all information available from public sources or which was provided to us or which was otherwise reviewed by us. Past performance cannot be a guide to future performance. 'lClCl' and the '1 man' logo are the trademarks and property of lCICl Bank. Misuse of any intellectual property, or any other content displayed herein is strictly prohibited.